Crystal Palace on Thursday announced the signings of midfielder Jordon Mutch from Premier League rivals Queens Park Rangers and former Newcastle United striker Shola Ameobi. Mutch, 23, has signed a four-and-a-half-year contract, while 33-year-old Ameobi, who was a free agent after leaving Turkish side Gaziantep in December, has signed a short-term deal until the season’s end. Palace did not disclose how much they had paid to sign Mutch, but British media reports claimed the initial transfer fee was around £4.75 million ($7.2 million, 6.3 million euros). “Jordon’s a player that caught my eye against my Newcastle side and he’s a young player with potential,” said Palace manager Alan Pardew. 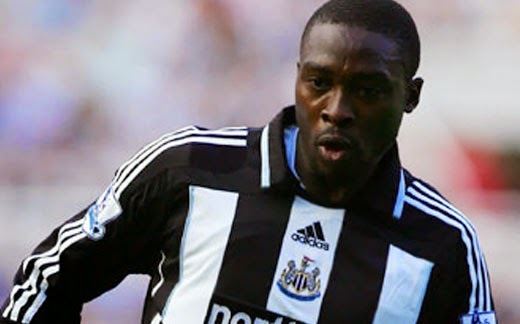 Nigeria international Ameobi left Newcastle last year after 14 years at St James’ Park and joined Gaziantep in August, only to leave four months later after failing to settle. The pair join on-loan Arsenal striker Yaya Sanogo in signing for Palace this month. Palace are currently in 13th place in the Premier League, four points above the relegation zone, and have not lost since Pardew succeeded Neil Warnock as manager earlier this month.